We Make Your Fundraising Easier. Connect with Daily-Updated Global Institutional Investors, While Our CRM App Streamlines Your Efforts. We Make Your Capital Raising Easier. 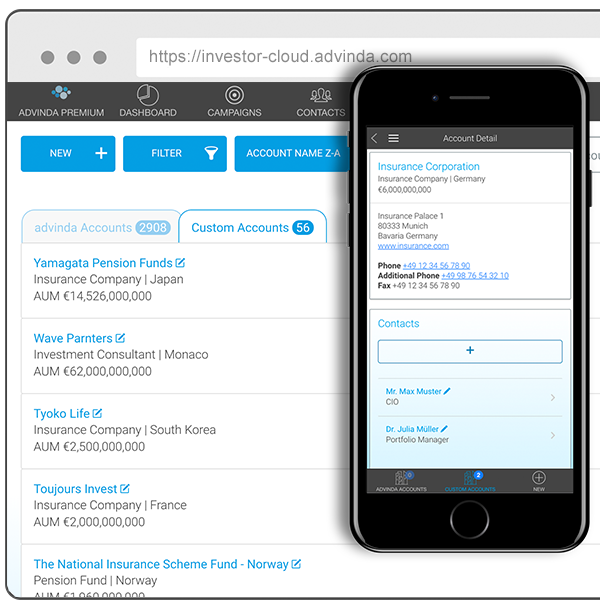 Leveraging on their experience of over 10 years in raising alternative capital from top tier institutional investors, DC Placement Advisors founded advinda Investor Cloud: the world’s first fundraising App with global institutional investor intelligence. Are you looking to extend your Network? Access valuable insights and connect with daily-updated global institutional investors. Are you looking for a Fundraising App? Let our built-in CRM customized for fundraising streamline your efforts. Free of charge and with no obligations, get advice from one of our experts. Getting started with a new fundraising process? Let our built-in CRM customized for capital raising streamline your efforts. Getting Started with a New Capital Raising Process? 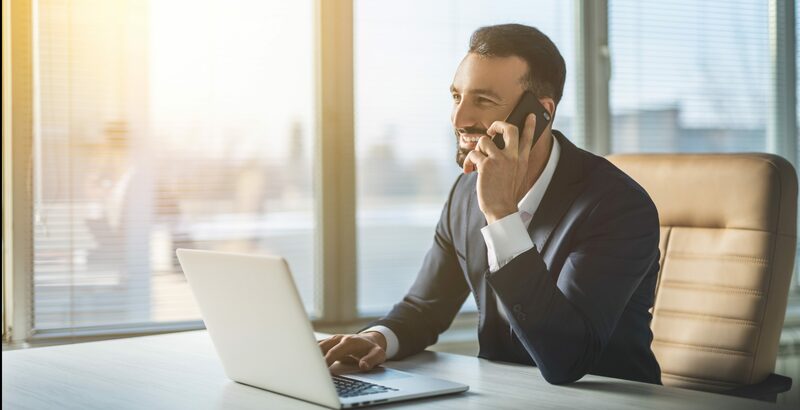 Discover how to connect faster with relevant investment related decision-makers. 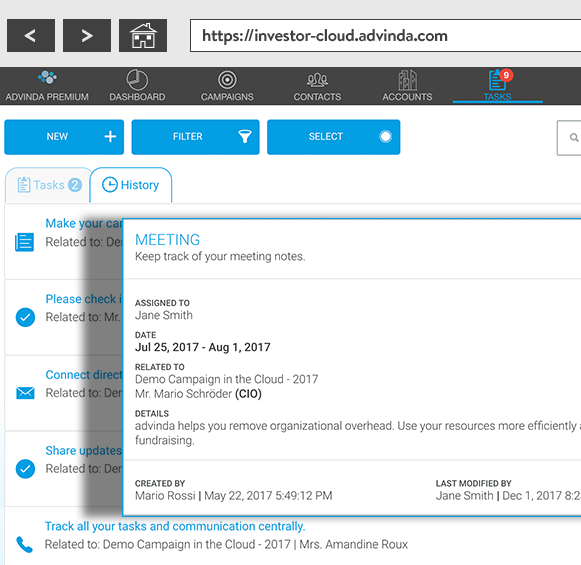 advinda Helps You Remove Organizational Overhead so You Can Focus on Fundraising. Track all communications to meet regulatory requirements. Access Securely from Any Device, Anywhere, Anytime. Track your team’s progress worldwide from any device. Let the built-in best practices streamline your efforts. Monitor tasks and pending activities. 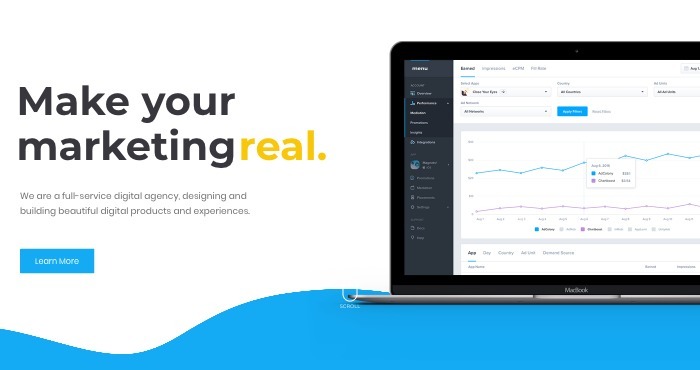 Benefit from gaining meaningful insights at a glance. Connect with the Right Investors. Select your ideal investor according to region, investor type and AUM threshold. We Are Investing Extensive Time Doing Research, so You Don’t Have To. Connect Immediately with Daily-Updated Decision-Makers of Top Global Institutional Investors. Identify the investment decision-makers relevant for you. Communicate immediately with daily-updated contacts. Remove technological and organizational impediments and benefit from focusing on fundraising. Leverage from Proven Fundraising Experience and Valuable Insights. advinda’s App is securely stored in the Cloud. Therefore, its accessible from any device, anywhere, anytime. advinda’s CRM technology enables you to create teams to share campaigns contacts and tasks. Monitor activities and campaigns, keep track of communications and more. By registering, you confirm that you agree to the storing and processing of your personal data by advinda Investor Cloud as described in the Privacy Statement.